Today’s post is a look at the UK section of Blackrock Pulse 2017, a global survey of investors. Blackrock Pulse is “the largest survey of investor behaviour in the world”. 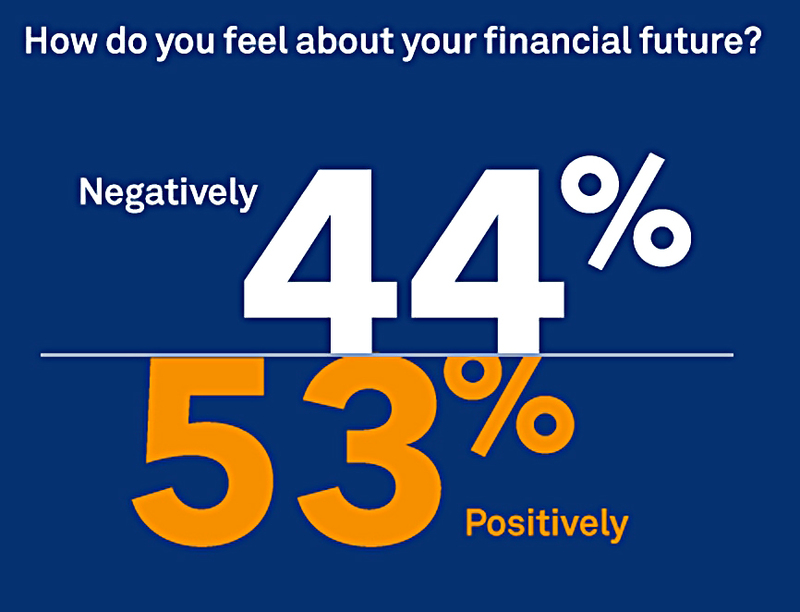 Now in its fourth year globally, and third year in the UK, the survey asked 31K people across the globe (4K in the UK) what they thought about their financial futures. 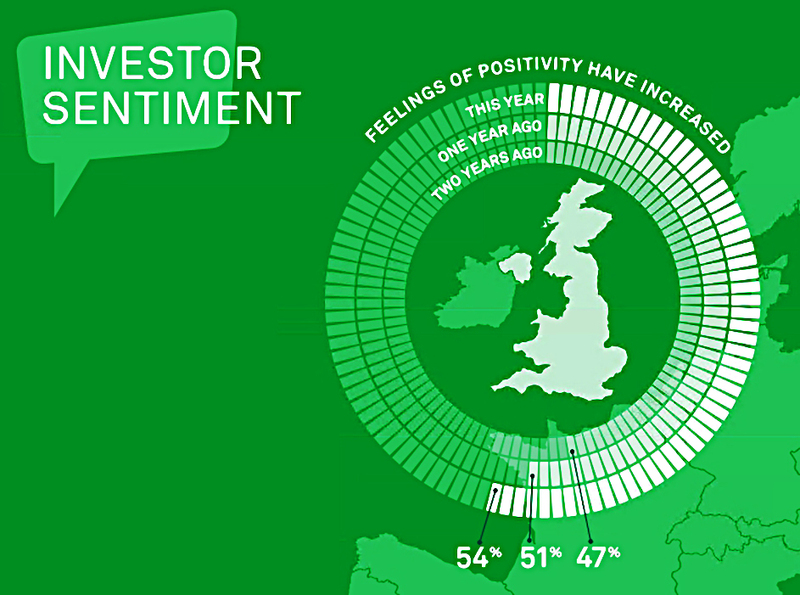 Sentiment in the UK has improved, but most people still hold a lot of cash and many feel less confident about their decision making than they did in 2016. 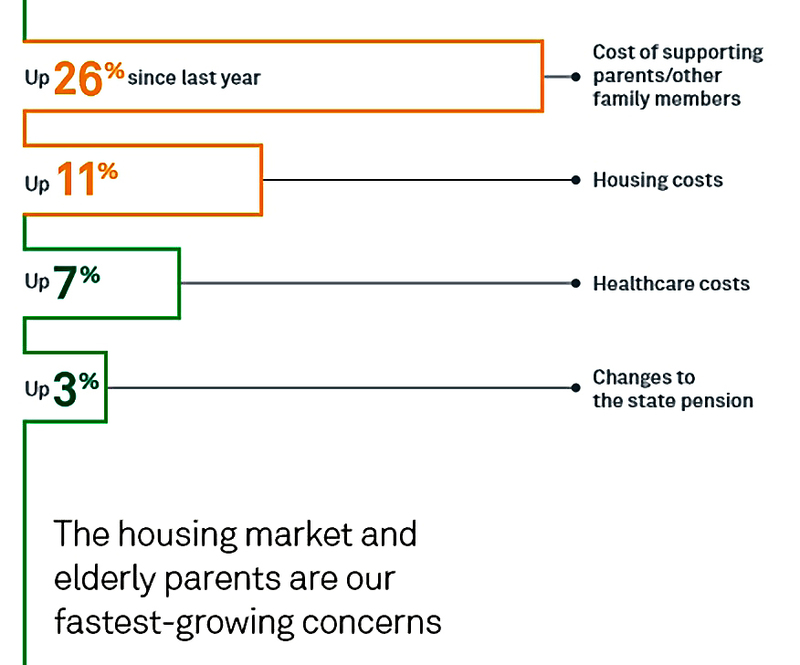 Young people were worried about the cost of living, while older people worried about health care. Everyone was worried about the cost of supporting parents in old age. This was the fastest growing concern, up 26% on the previous year. Saving is the priority – primarily for retirement, but also to pay off credit card debts and the mortgage. 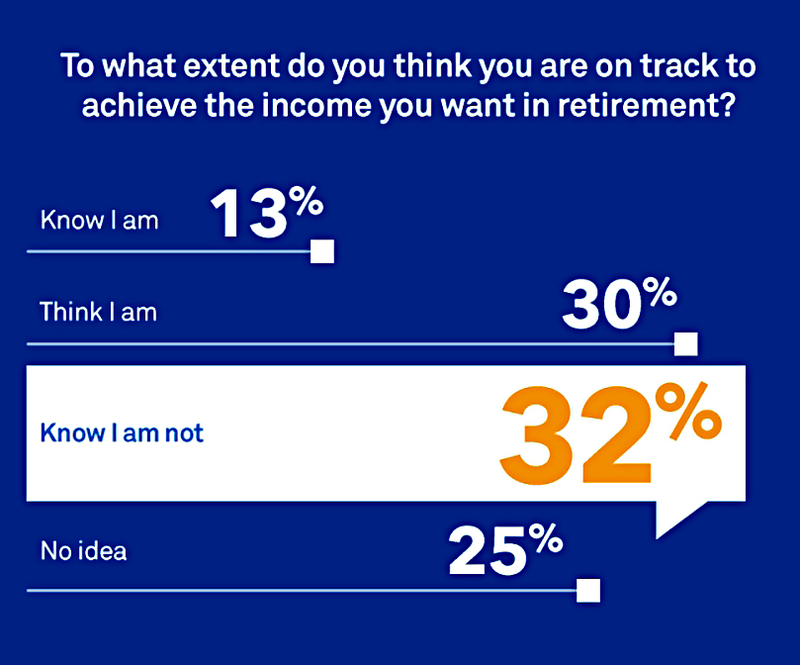 Older investors are more confident about their decision making. The dominant attitudes reported by respondents were “cautious” and “responsible”. 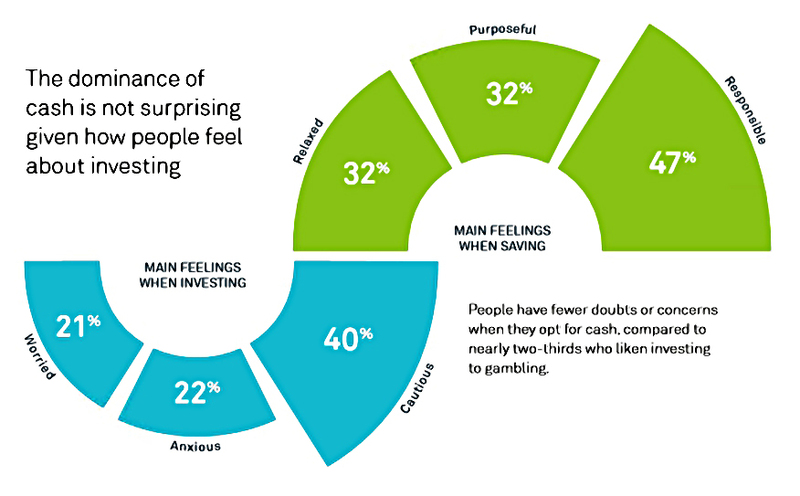 Almost two-thirds of respondents liken investing to gambling. 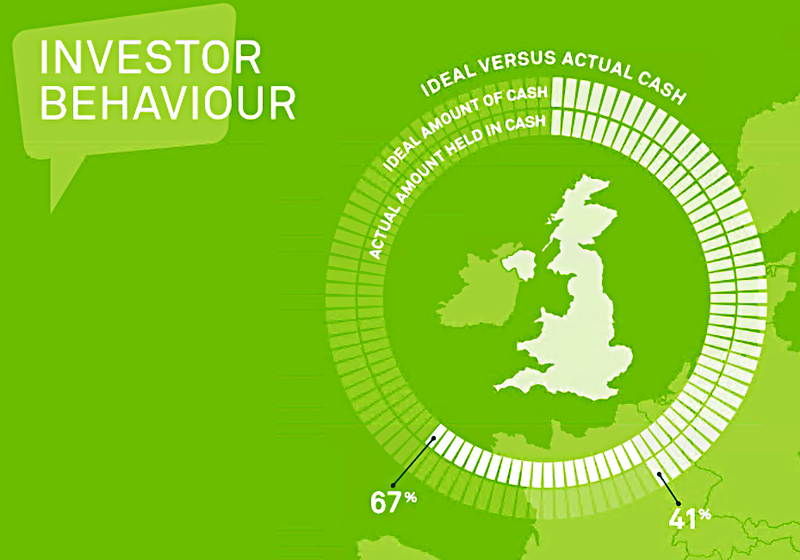 70% held a cash ISA alone, 11% a stocks ISA alone and 18% held both. Savers have an average of £8,700 in cash, of which 25% was earmarked for retirement. Collectively this add up to £60 bn in cash. The ‘Pinched’ – 16.5M people. They like cash because they want quick access to their “safety net” or don’t have enough to invest. 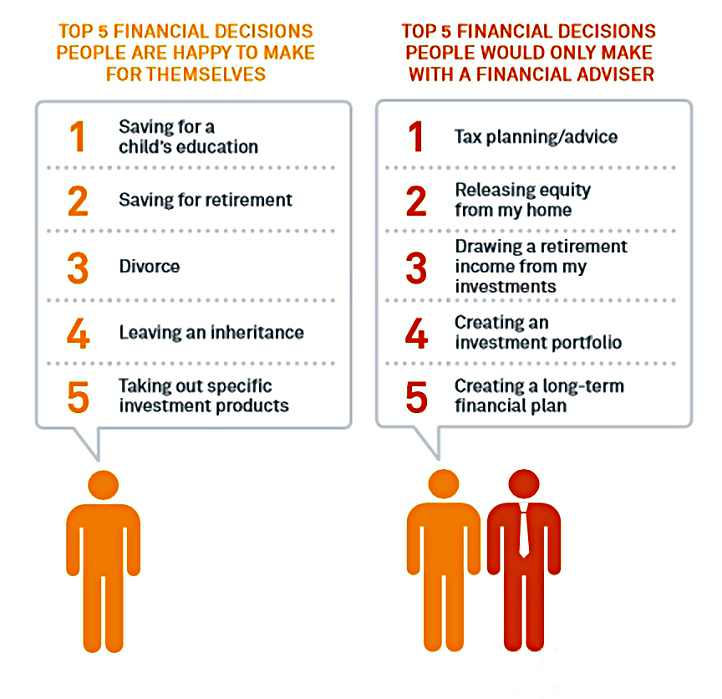 They are least likely to feel in control of their financial futures and only 20% feel knowledgeable about investing. They don’t believe now is the right time to move out of cash because they are worried about market volatility (and investing in general). They like the government protection on cash. The ‘Planners’ – 3M people. They’re seriously thinking about moving some money out of cash over the next six months. They don’t like the low returns on cash. This group is more confident about their financial future, more knowledgeable about investing and are more willing to take on higher risk for higher returns. 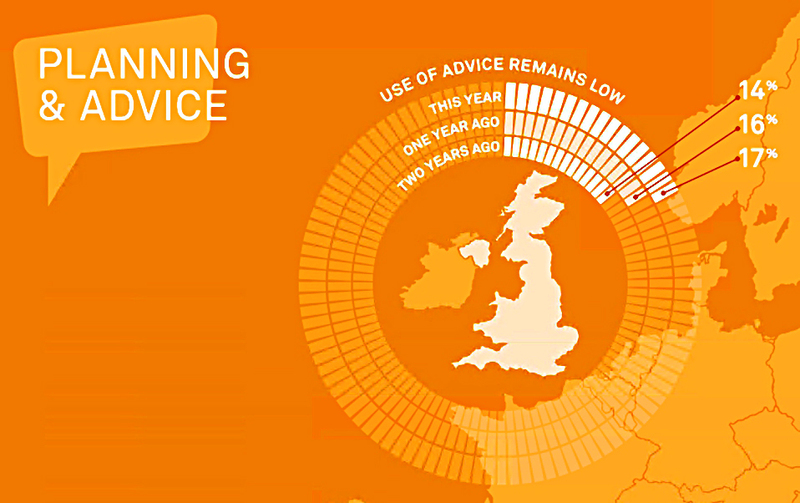 Use of advice is creeping up, from 14% in 2015 to 17% today. 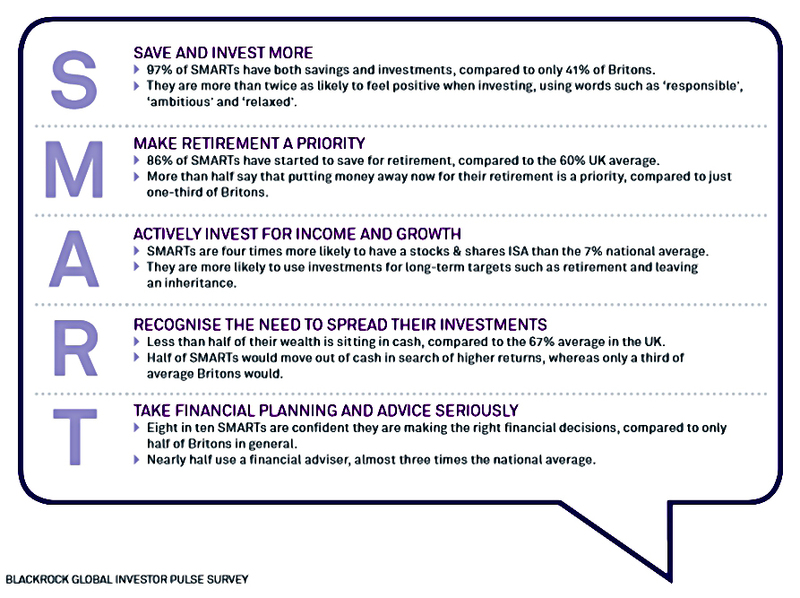 This is mostly down to baby boomers taking advice (sometimes compulsory advice) on the pension freedoms. Older investors prefer to do their own research, while young investors rely on family and friends. 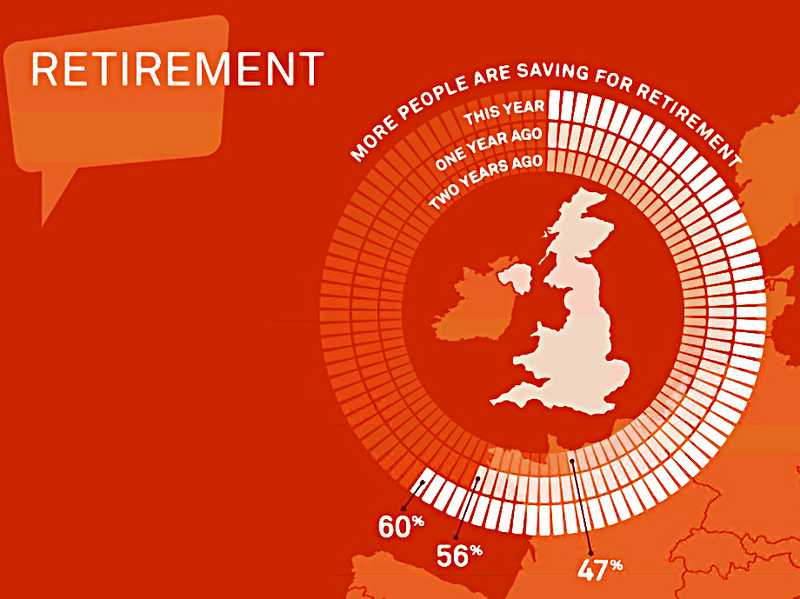 Saving for retirement was more popular again this year, with 60% now saving (up from 47% two years ago). I’m surprised the increase is so small, given the recent spread of auto-enrollment. And of course, 60% saving means that 40% are not saving at all for retirement. Two thirds of these people had no pension provision. Half of them said they didn’t have enough money to save any, while 20% said they had “other priorities”. More than half think they aren’t on track to meet their goals or have no idea. 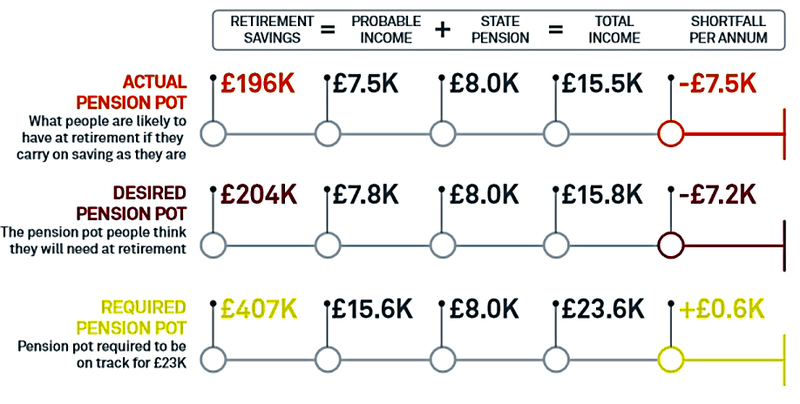 On average, people would like a £23K pa income in retirement, but they are only saving enough to produce a £7.5K pa income. 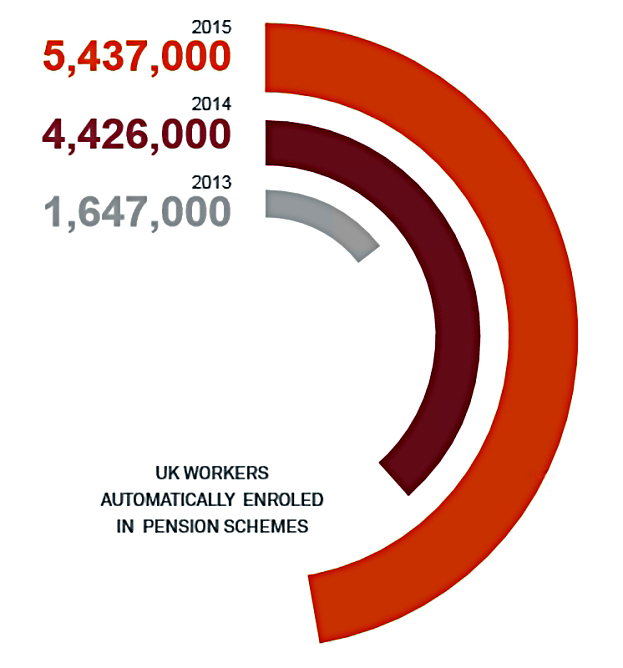 Adding in the state pension of £8K pa gives a £7.5K pa shortfall. The average person needs to build up a pot more than twice as large as the one they are saving towards. 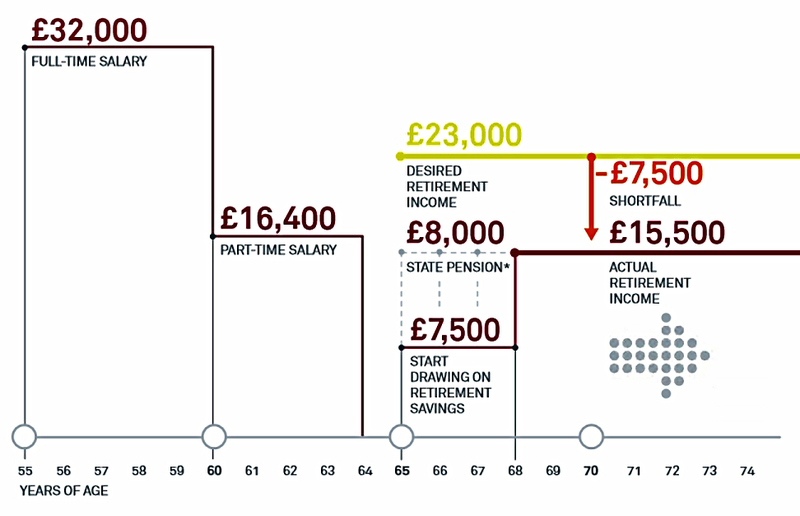 Average annual savings are only 6.8% of salary. 20% saved more than £6K, while 30% saved less than £600. Most people would address the shortfall by spending less (on holidays, socialising and home improvements. Others though would work longer, spend their savings or take out home equity. It turns out that a quarter of respondents didn’t know that the government added to pension contributions in the form of income tax relief at your marginal rate. They said that they would increase their contributions if that were the case (which it is). 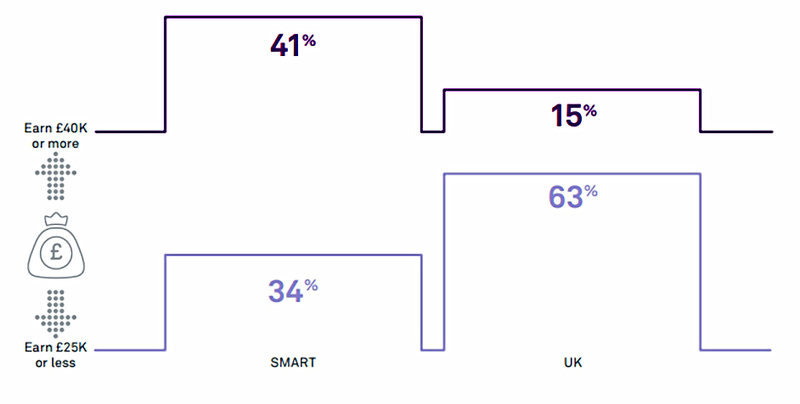 BlackRock have identified a group of savers that they call “Smart”. They have less than half their savings in cash and save at least 10% of their salary. So it’s a pretty low bar. 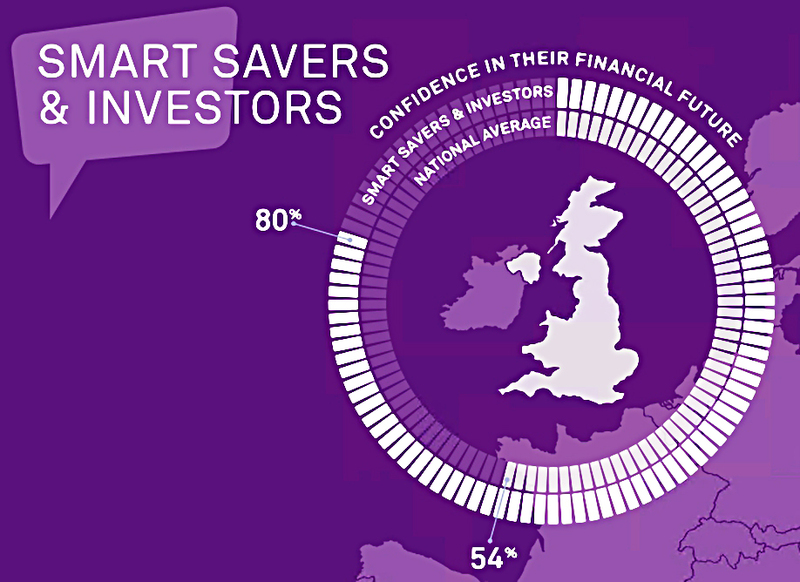 Smart investors have more confidence in their future than the average person. 80% are confident, compared to a UK average of 54%. They also tend to earn more. But only 28% of them have a stocks and shares ISA. And half of them rely on a financial adviser. More people are saving, and more people feel better about their future. 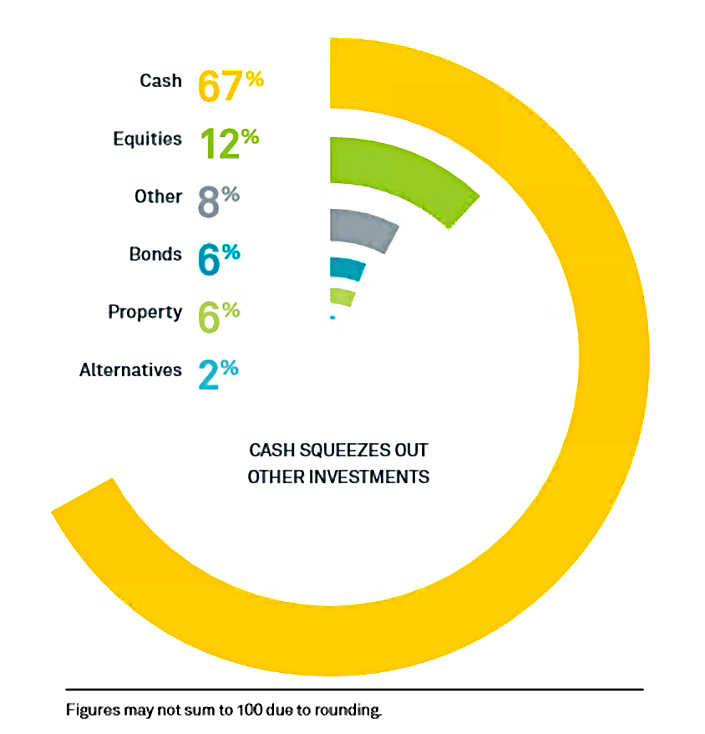 But the over-reliance on cash remains staggering. 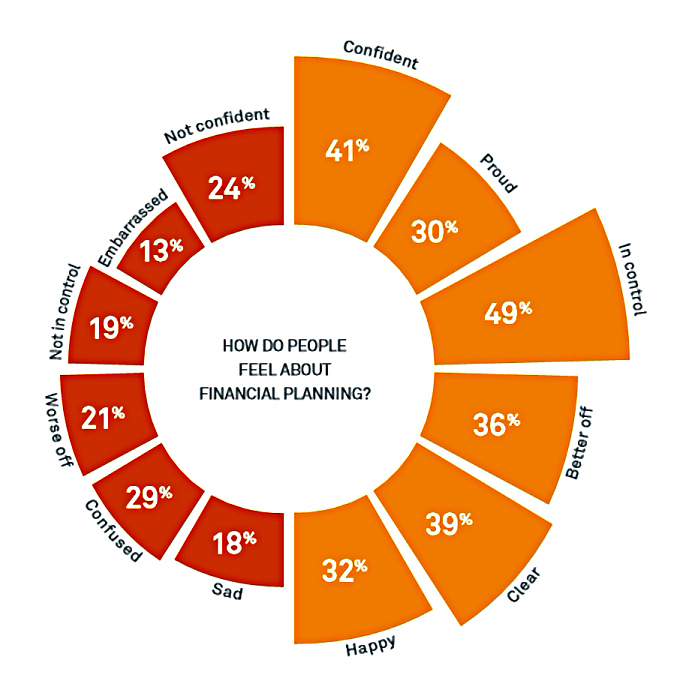 Fewer people are confident about making financial decisions. And 40% of over-55s find the pensions freedoms “concerning”. Mike- the results are interesting but sadly not surprising. There is a general lack of education, knowledge and most of all, confidence about investment -and I suspect many have had their fingers burnt when they have got involved in it previously. A large number are generally ignorant of what can be achieved by moving out of cash. My first involvment in investment was in being persuaded to take out an Endowment Mortgage that was backed by a ‘low cost’ savings plan that had to achieve a 10% per annum return just to pay off the loan it was covering and despite being told that my plan was not only low cost but ‘low risk’, suprise surprise, it led to a 40% shortfall in paying off my mortgage. I can understand after this kind of experience whether it was private pensions, endowment mortgages et al that the majority of joe and jane public stick with things that they understand and trust -which is sad. As it happened, the loss I incurred on my mortgage tempted me to understand more about how investments and assets work and has led to my own investment success-so it is not all bad! Lang Cat Platform Review 2017 – Are You Being Served?